In farming, as in every other way of life, we have made a critical mistake. It is a mistake of language, assigning linguistic labels to denote ‘methods’ of agriculture and thus discouraging innovation and radical thinking. We can point to and fairly accurately describe ‘conventional’, ‘organic’, ‘biodynamic’, ‘integrated’, ‘intensive’ or ‘extensive’ ‘types’ of farming along with a myriad of other ideas relating to the way that people manage the land. This I believe is not useful. By assigning labels we impose set criteria and discourage thought processes that push boundaries and encourage innovation and locally specific ways of thinking. ‘The environment’ is not ordered perfection but chaos, a totally dynamic entity that cannot be mapped, predicted or generalised. We need ways of thinking that see environments as ‘open ecosystems’, using the thoughts of the Odum brothers, constantly converging and linking together. We need to manage them in a locally specific way. Land managers should be independent thinkers. Yes, by all means they should learn the various ‘systems’ of management in place and they should work to perfect their knowledge of how to practically manage environmental systems in a generalised manner – whether they are ‘natural’ systems or agriculturally managed ‘agro-ecosystems’. However, critically, they should take that knowledge, amalgamate ideas and fit what they know to their own specific environments. This already happens on many farms on the level of agronomy but this article encourages managers of environments to look more widely and involve thinking on a larger scale, including community and their environments. The message is to throw the policy document out of the window to a large extent and to think as an individual (or in the instance of a community as a single community). It is here, amidst the ramblings above, that I wish to discuss the concept of agroecology. This is a way of thinking that I have been aware of for a couple of years and which has, I think, heavily influenced my own thought processes. It is not explicitly linked to the discussion above, although the essence of agroecology, I believe, fits alongside the ideas of using various concepts of organics, conventional methods etc in building ‘the best available way’ of farming a particular environment (see the guardian article set out in the references below). 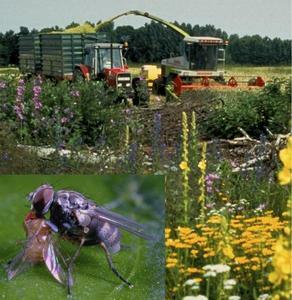 In essence, agroecology looks at the ecological processes that take place within the farmed environment. The agroecologist studies, evaluates and designs agricultural systems that are not only productive but resource conserving. It is a ‘whole systems approach’ linking farming with ecology, economics, culture and society, with the aim of sustaining agricultural production in the long term, critically within healthy environments and (this I think is most important) within sustainable and viable farming and food communities. As in environmental history and in human ecology, man is inserted in the very heart of a world ecosystem. We should accept that as humans are not at the centre of everything but a part of a wider whole. However, as part of such a system we need to accept that we should derive benefits, in order to sustain our population in a way that provides quality of life for as many as possible, as other species deserve the ability to derive benefits from existence in the world ecosystem. We do not have to assign a ‘negative’ and aggressive mode of thinking, imposing our will upon environments in a Darwinian turn of mind. We should accept that there are a myriad of ways of doing things but we have to fit what it is that we want within the wider context of the world ecosystem. Agriculture too can work within this paradigm. It is the idea of spinning three plates interactively – biophysical, technical and socio-economic, or to broadly use the image above ecological, economic (including technical operations of a business) and socially equitable – that make agroecological thinking, as a means of managing environments, incredibly exciting in my book. It reminds me of Pam Warhurst’s approach to managing the spaces of Todmorden in the Incredible Edible campaign (see my post with Pam’s TED lecture, posted June 3rd). Such thought processes are not governed by ‘tunnel vision’ but provide an awareness of the bigger picture – the economics of farming, the community and social side of farming and rural communities, the mechanics and logistics of machinery and inclusion of innovative technology and the importance of sustaining a healthy ecosystem including the local biota in its entirety. Critics will say that agroecology is too utopian in its outlook and would not be viable in the real world. Indeed, it is healthy to question it as a concept. Would it really be possible to have a world governed by agroecological thinking? The Pam Warburton in me wants to say ‘yes, if we get up and make it happen, then yes, it is possible’. However, we must see agroecology in context. Even if we were to teach only the principles of agroecology in our schools and colleges it would not suit all people. Indeed, it would be against the principles of the concept to impose any such method of thinking upon individuals. One might also say (and criticise this article for one thing) that by assigning agroecology a set identity (as has been noted above with other methods of farming) one limits the possibilities for individuals to make individual management decisions about their farms and about their communities. However, as has been said before, agroecology is not a rigid ‘system’ but a way of thinking. It is a thought process that encourages the manager to think about the bigger picture, to think about the community, about economics and about ecology. There is I believe an awareness today that agriculture and environmental study must come together in a way that hasn’t ever happened before. Agricultural production issues cannot be considered separately from environmental issues. This is because environmental change is visibly apparent to land managers in ways that perhaps eyes were not open to before. There is awareness that a sterile landscape is not necessarily the best environment within which to provide food for the world. There is awareness of the crisis in loss of biodiversity. There is awareness that humans have made radical changes to environments and lifestyles through an age of industrialisation and should consequently now make changes in lifestyle to face the challenging future ahead. Demographic increase of the extent predicted requires lateral thinking to provide the increase in yields required for a larger world population. This article argues that agroecology provides a beneficial way of thinking in such a new world because of the broad performance criteria it uses, including properties of ecological sustainability, food security, economic viability, resource conservation and social equity, as well as increased production. We are facing a crisis, especially in Western societies, not only of a demographic nature but of a socio-cultural nature as well. Radical thinking is required to ensure posterity inherits a world where a basic quality of life is ensured – including at the very least adequate nourishment and provision of a roof over one’s head but also social and cultural opportunity (a world in which communities are not dead entities). To initiate the agroecological way of thinking and acting on a broad scale would require change of a monumental scale, in not only policy and technological innovation, but in the encouragement of a new interdisciplinary framework integrating the natural sciences with the social sciences in academia and, perhaps most importantly, in socio-cultural ways of thinking. Communities would experience a change in structure unlike any previous alteration. Agroecology provides a framework for a new way of managing the land and managing our communities. To implement its philosophy would require individuals to fit theory to practice. 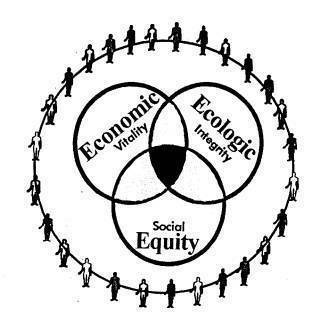 However, that is the beauty of the system – that it is a framework that can be built upon, moulded by individuals, farms and communities to suit the interests of their own local societies, economies and ecologies. It is not a be all and end all ‘system’ imposed upon us.